Half dog. Half man. ALL hero cop. 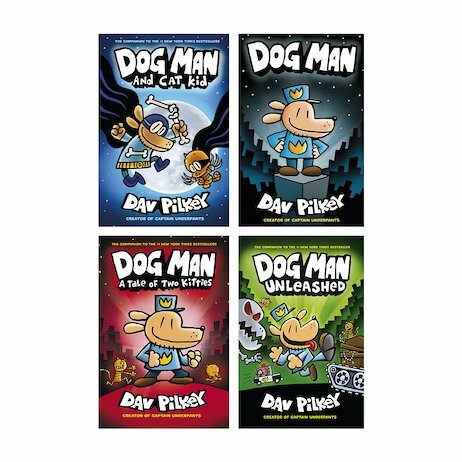 The crazy new series from bonkers genius Dav Pilkey. Quick! Call 999 – it’s so funny it’s criminal! Meet Dog Man. Is he a man? Is he a dog? Nope: he’s both! When a police dog and his cop companion get injured on the job, they’re forced to have life-changing surgery. That’s how Dog Man is born! With the head of a dog and the body of a human, this hybrid hero loves chasing crooks – and cats! But will he answer the call of duty – or the call of the wild?